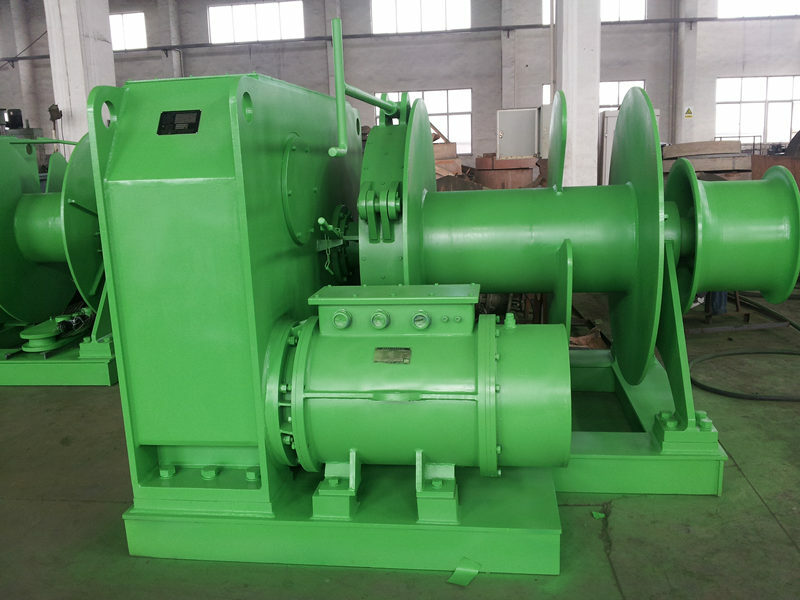 As we all know, due to simple operation, easy installation and maintenance, the power winch is widely used in the working area that need to heavy work and big pull force. In our daily life, we will find the single drum winch most, however, in order to adapt several working needs, such as lift, pull and rotation, our professional engineers also design the double drum and multi-drum electric winch. Generally speaking, the entire winch whose rated load below 10 ton can be design into power winch. 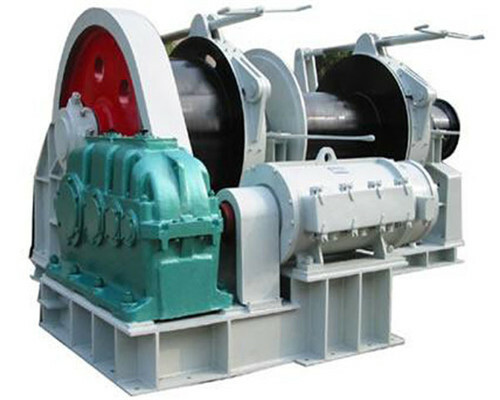 According to different function, the power winch can be divided into many types, such as the electric single gypsy windlass, the electric double gypsy drum windlass, the electric single drum combined windlass, the electric double drum combined windlass, the electric double drum mooring winch, and so on. 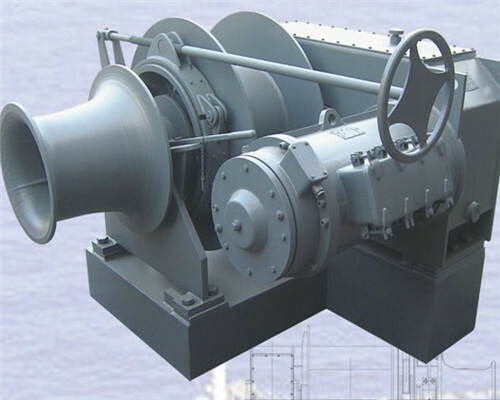 With around one century’s rich experience and advanced technology, Ellsen Machinery Equipment co.,Ltd are capable to design and custom many types of certain power winch with low price, just send your message to get better service and perfect service. As the most common electric winch, the electric capstan can drive the entire system just rely on its own electrical power system. Compared with the other capstan, the power capstan holds an incomparable advantage that can work normal under the condition of car stall, which is particular true in the washy area, meanwhile, because of simple and easy installation; a power capstan can be assembled in many place and move in a short time. There are two core service voltages about a power capstan, one is the direct current, and the other is the alternating current. The main use voltages of the power capstan are 380v, 220v, 110v, 36v, 24v and 12v. The power anchor winch is the most popular utilization on the vessel. According to the different voltage, there are two types of electric anchor winch; they are direct current anchor winch and alternating current anchor winch. While the direct current electric anchor winch owns better governor control characteristic and high work efficiency. Usually, we use three main ways of the step down gear, they are hourglass worm turbine drive, spur gear operated and planetary gear transmission. General speaking, the planetary gear transmission not only owns light weight, small volume and high transmission efficiency, but can be maintenance easily, so the planetary gear transmission is most applied. 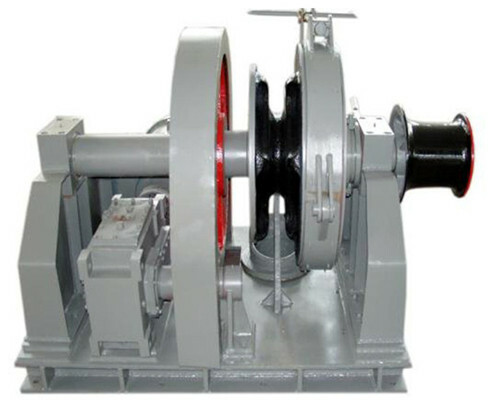 The electric mooring winch is mainly used to moor alongside, anchoring and retracting cable for ships or ocean platform. 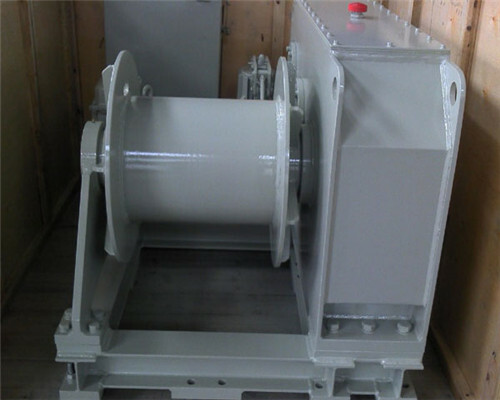 A electric mooring winch can be divided into seven parts, they are warping drum, marine planetary reducer, marine band brake speed regulating motor, The main electrical control box, IP56 master controller, and foundation and so on. In the procession of mooring works, it mainly relies on the gearbox of the electric motor to drive the winch drum, then leading to deploying and retracting cable. Besides, the brake on an electric mooring winch is fixed between the motor and input shaft. 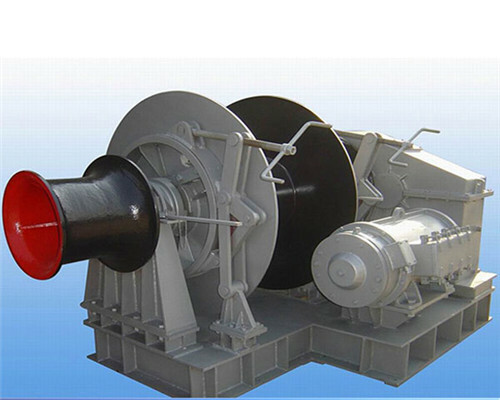 The electric mooring winch is widely used in the area where need heavy work and big tractive force. An electric mooring winch mainly designed to lift the goods below 10 ton. The electric tugger winch is mainly designed for the working environments that need taxing work and big tractive effort. Generally speaking, the electric towing winch is mainly to lift or pull the boats or something with a load rating below 10 ton. According to the different design requirements, we can offer several types of electric towing winches, they are the single drum electric towing winch, double drum electric towing winch and multi-drum electric towing winch. Fast delivery. Owned incomparable traffic advantage, we will promise the shortest delivery time, save a large sum of money for our customers. Thoughtful service. With sales national wide and service worldwide, as well as the strong network, any question of our customer can be solved timely and precisely anytime anywhere. Test available. In order to make our customers fell relived, relied on strong technology and rich experience, we are capable to offer a series of test for our customers before buying. Simple installation. All Ellsen’s winch product, we are responsible to offer professional guidance to assemble and installation knowledge about power winch for any our customers, until they get it and assemble the power winch machine correctly and smoothly. Easy and free maintenance. Rely on our strong after-sale service and sufficient storage; we are capable to maintenance all the problem happened on their power winch till the equipment will work normally. High quality, advanced technology but low price. During about one century’s growing, Ellsen has been the leader in the winch industry, all the time, we always insist on the principle of ” quality first, customer ahead” to offer each perfect winch machine with the lowest price when compared with the other manufacturer and dealer. During over 70 years development, Ellsen Company has became a powerful manufacturer and leading supplier in winch industry. With the strong technology ability and rich experience, we can guarantee that every power winch or components produced by us can all accordance with the international standard. We can provide fully tested service for all our customers. So far, our winch equipment has been exported into over 30 countries and regions, including USA, Canada, Australia, India, Russia, and Africa and so on. At the same time, we won the highly thinking among our customers, being the first choice for them.